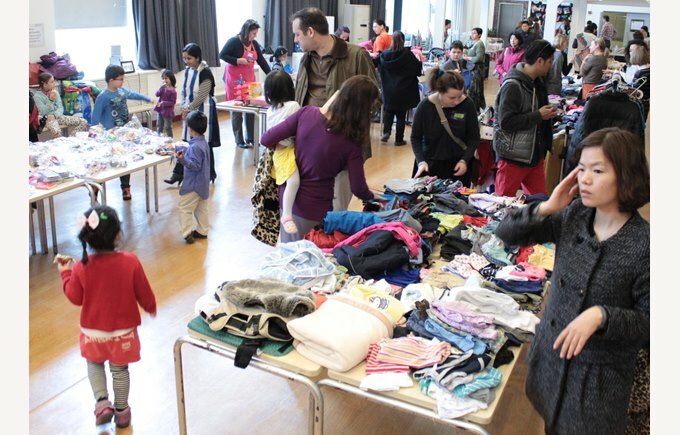 The BSB Sanlitun PA organised a fantastic event which included a Book Swap, a Bake Sale and a Jumble Sale to take advantage of early spring cleaning and to provide parents with their own book swap after the school had celebrated Book Week for the children. Lots of our families sent in donations during the preceding Book Week for Roundabout. Roundabout is an effective charity organization started by an expatriate in Shunyi providing free service connecting donors to causes around China and Mongolia, and was the recipient of all proceeds from the Bazaar. Lots of good quality winter clothes were packed away to be donated directly to the needy in the colder regions of China such as Tibet, and some baby clothes went directly to orphanages. Most of the donations were put on sale to raise money for other causes. Families donated more than 400 books, and lots of clothes, jackets, shoes, bikes, doll houses and toys – lots of toys! 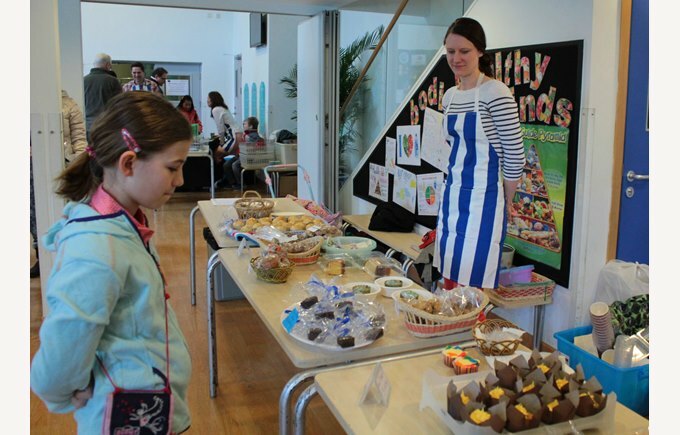 More than a dozen families also donated homemade cakes, cupcakes, brownies and cookies for the bake sale. The Bazaar volunteers, including parents and some kids, were ready for the crowds on Sunday morning. Shoppers started coming in promptly at 11 AM when the doors officially opened. 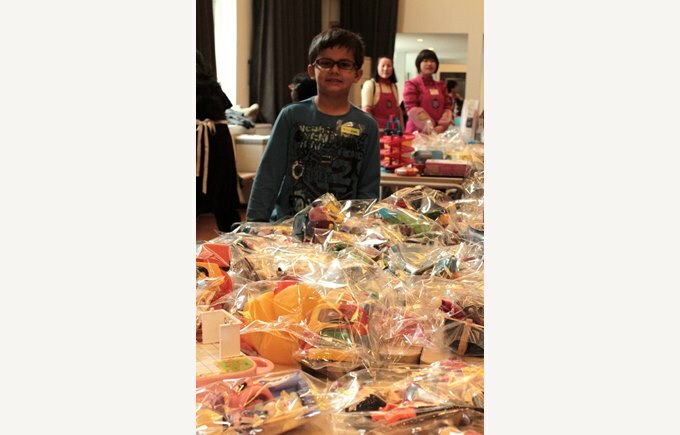 The Bazaar raised an impressive amount of money. 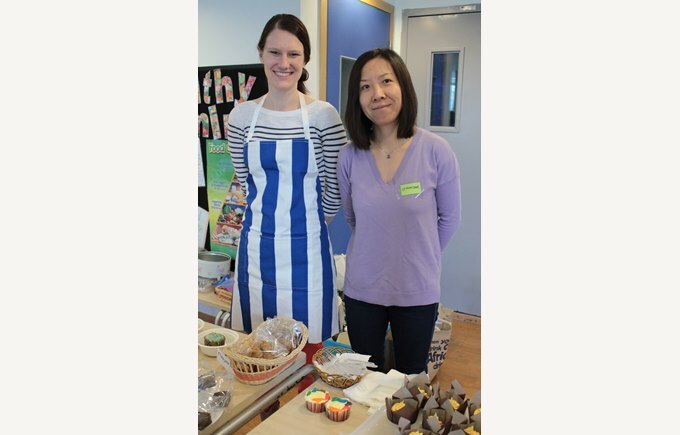 More than 6,000 RMB was raised from the Jumble Sale alone, nearly 2,300 RMB from the sold-out bake sale, and more than 3,800 RMB was raised from the book sales. The grand total crossed 12,000 RMB and Roundabout still left with a van and a half worth of goods they can sell to raise more money. Roundabout has presented the Parents' Association with a certificate of appreciation as their staff were very pleased with both the quality and the quantity of the donations; this is the first time they have participated in a school event like this. Thanks to all the families who participated! Let’s do this again next year!